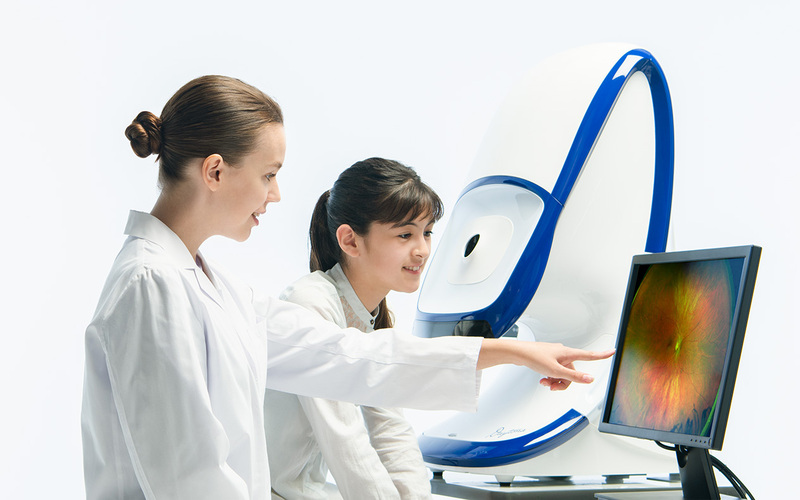 The ultra-wide field retinal imaging device from the Nikon Group's Optos provides retinal image capturing of the fundus area with approximately 200˚ coverage simultaneously. Read more about our technology. For realizing early diagnosis of diabetic retinopathy, Nikon and Verily Life Science LLC (formerly known as Google Life Sciences), are collaborating on the development of a diagnosis support system using artificial intelligence (AI).